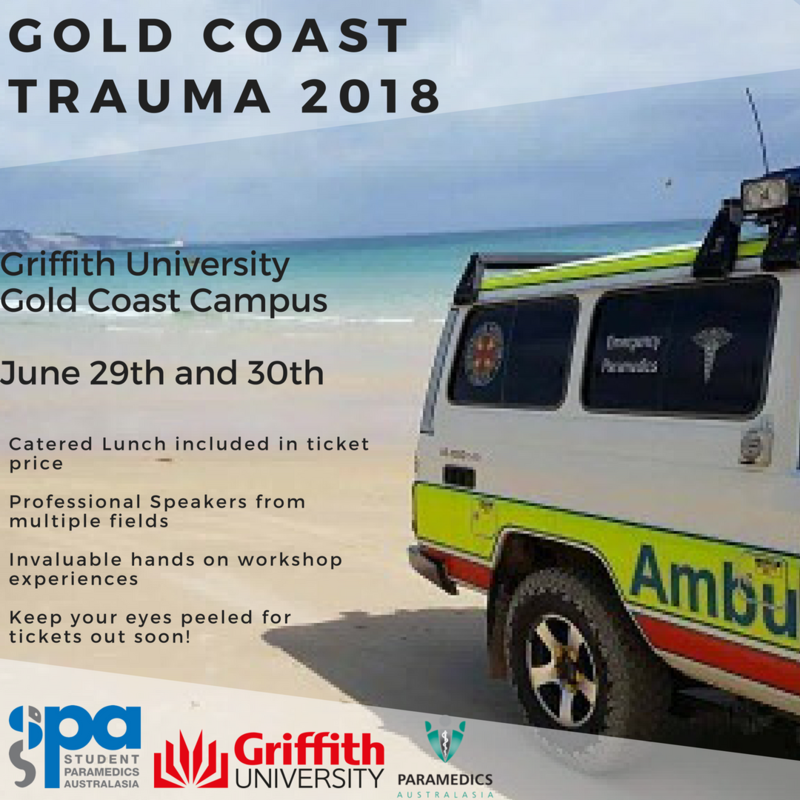 This year, Gold Coast Trauma 2018 will be focusing on road trauma and violent trauma, with a focus on paramedic wellbeing post-exposure. Join SPA over this comprehensive two-day program as industry leading professionals share their expertise, alongside the opportunity to join a range of workshops aimed at enhancing professional development within the trauma setting. Confirmed speakers from QAS, QFES, QPS GCUH, Flight Paramedic, Military Medicine and more! Catered lunches included, social events Thursday and Saturday nights. Places are limited, and the tickets are available from today so don’t wait!